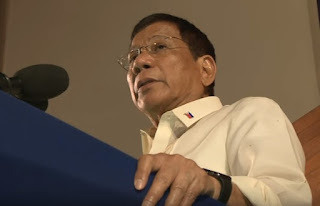 A lot of reactions have already been posted online about the first State of the Nation Address (SONA) delivered by President Rodrigo Roa Duterte at the Joint Session of Congress on July 25. The speech was clocked at 1 hour and 32 minutes by GMA News while others timed it at 100 minutes. In the history of presidential SONAs, Duterte's speech is said to be the longest first SONA ever. The President was supposed to deliver a 38- minute prepared speech in pure English. But his anecdotes, adlibs, and spattering of jokes in English as well as in Filipino and Bisaya, stretched his SONA much longer than expected. There have been mixed reactions to the speech, but somehow a consensus is reached that Duterte's honesty and patriotism shone through his SONA.